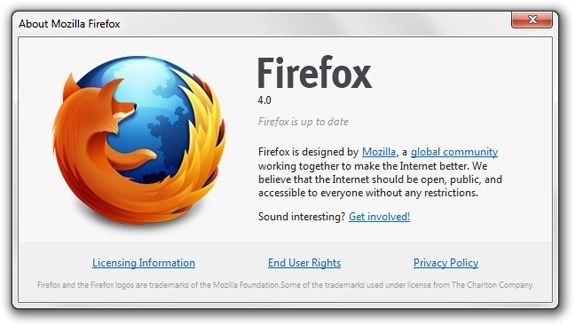 Mozilla Firefox 4 has been released! The download files for this final version of Mozilla Firefox 4 have started appearing in the FTP software repositories of Mozilla. If you have been waiting long for checking out this all new browser from Mozilla, then your wait ends here. You might want to go through our brief review of Mozilla Firefox 4 before you start installing it on your system. Firefox 4 has features like Panorama and Password + Bookmark Sync. For other languages and versions, visit the detailed list. Read more from our Mozilla Firefox 4 coverage.